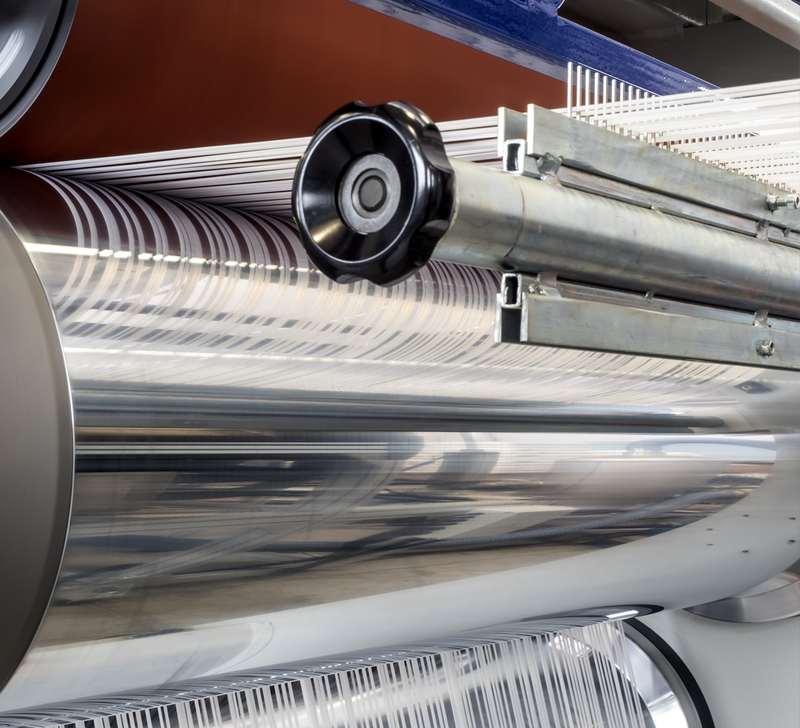 Throught a close co-operation between a polymer producers, SIMA developed the extrusion technology suitable for the highest HDPE monofilament tenacity. This is Polytit, a material finalized to the monofilament product, generally used for fishing nets and ropes sector. Among the fishing nets and ropes applications, the market is focused mostly on HDPE grades able to reach two key properties: tenacity and elongation at break. For tenacity, the best values from standard products and lines today set about 7.5 gr./D (66.8 cN/tex): these values do already establish an high level of material tenacity. The narrow molecolar weight distribution HDPE and the special extrusion line Polytit studied by SIMA , increase this property, reaching 11.5 gr./D (102.3 cN/tex). It is thus possible to appreciate about 50% of growth if compared with traditional products actually considered high tenacity. The high elongation at break could be negative for fishing nets and ropes. Generally, these values set around 22-25%, while the market asks for 16%. The new Sima extrusion line, can supply values of 14-16%. 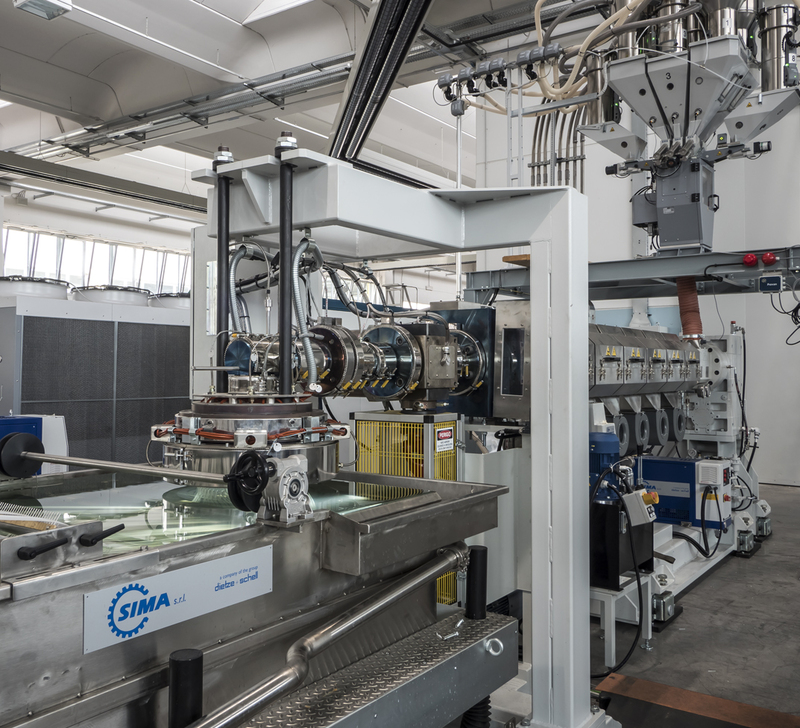 The new extrusion technology by SIMA has been focused on a careful study of transformation parameters which brought to an excellent flexibility up to an almost double output capacity (till 150 m/min., that means 200 Kg/h) without affecting the excellent properties results obtained and with total cost similar to those of standard productions. The extrusion lines show some peculiar properties such as: 600 deniers, 0.3 mm of diameter yarn for a total quantity of 300 yarns. The final product can be used for fishing nets and ropes and also for hail protecting- grids used in agriculture.